Last year’s contributions and fundraisers raised over $55,000 for these causes. Any amount, small or large, is much appreciated. 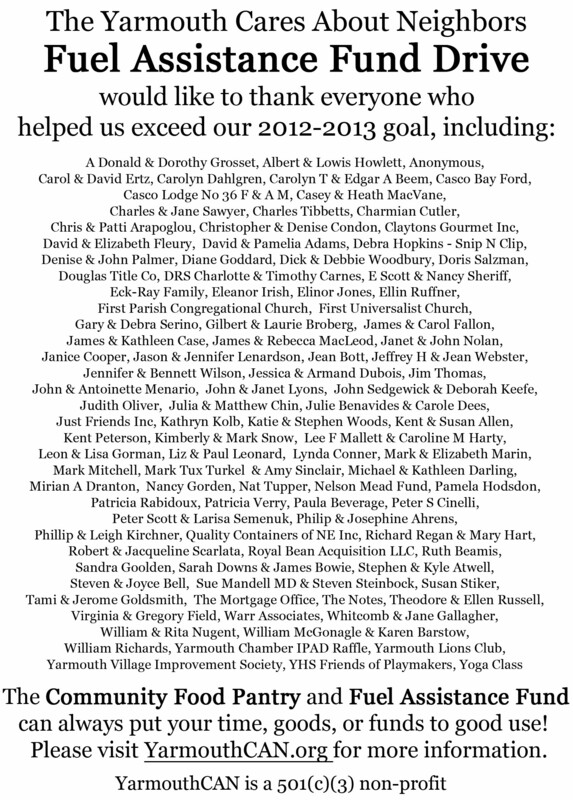 Yarmouth Cares About Neighbors is a non-profit, all volunteer, 501(c)(3) organization, so contributions are eligible for tax deductions to the extent allowed by state and federal law. Goal 1: To offer some Fuel Assistance to qualifying residents. The price of fuel oil remains high, and the overall economy has not improved much either, so we expect that the need for Fuel Assistance will be high once again this winter. The insulation assistance program available in the area requires a home to meet certain standards before they will help. 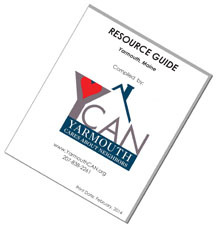 If a Yarmouth homeowner cannot afford to make the repairs required to prepare a home for insulation improvements, they do not qualify for insulation assistance. 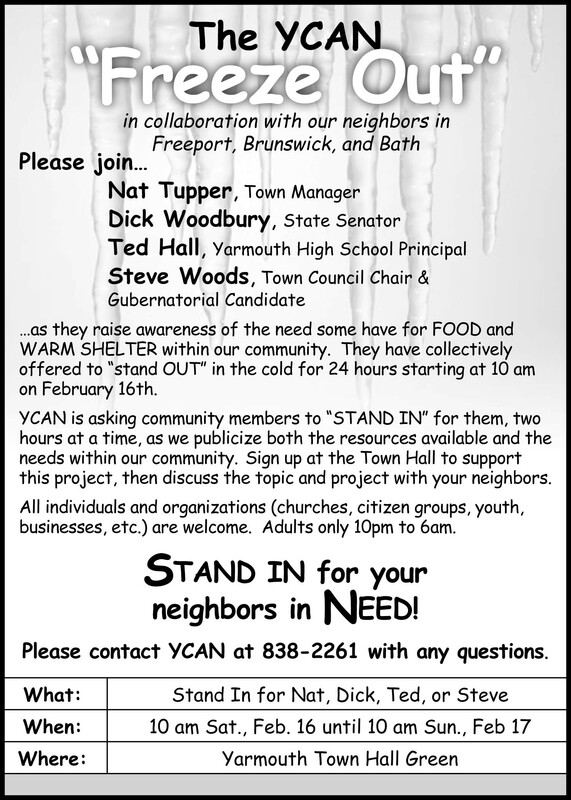 YCAN, in partnership with other local organizations and you, would like to help one or two low-income Yarmouth homeowners make the repairs needed to qualify for insulation assistance. If we can help a homeowner qualify for insulation assistance, their need for Fuel Assistance in the future will hopefully decline or perhaps even disappear. Please help us raise $25,000 this winter! Every $350 contributed last year helped one family obtain 100 gallons of much needed heating fuel (or the equivalent in wood or gas). Your willingness to help out a neighbor in need makes a big difference, even if you can only contribute a small amount. When put together, our contributions add up to something big: Community.